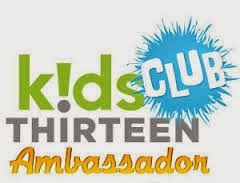 We have a great way for the whole family to get into the football season without having to go out and play for themselves! 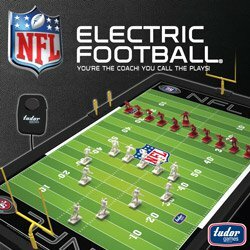 The NFL Electric Football. This is the same game platform that has been used since it first hit the marketplace in 1947- yes my uncle has spoken of this game fondly for many years, just with a bit of an upgrade. You can choose your favorite teams to play against each other with stickers that are included put in the two double A batteries and you are ready to go! So how do you play. Two players hit the field with 11 pieces, with the goal to advance the ball by running passing kicking and of course scoring. You do this by customizing your own plays and strategically places your pieces on the field. The "cleats" that you put on your pieces will help them to advance or help to defend, so choose wisely. What is really cool is that just like in the original version of the game, the vibration is what makes the action happen! Once you place your pieces in their correct position you press the button on the hand held remote and bam the game is a foot! You can even control the strength of the vibrations so it goes faster or slower. very simple very neat. This is a great game, it builds interpersonal skills, hand eye coordination, and gets that brain bumping to figure out how to win! You can buy a assortment of sets to make your field loook tiiiight as my son would say, but honestly this is great and easy to use right out of the box/ This was an easy add on to our must have toys this year! 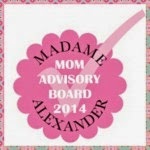 *A sample of the product was given for the purpose of review. All Opinions are our own. In a battle between lizards, only one will survive. 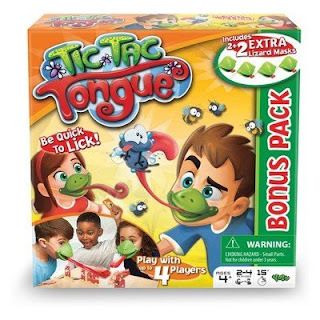 Oh calm down you don't need to call PETA on me, I am talking about this great game from YULU called Tic Tac Tongue. 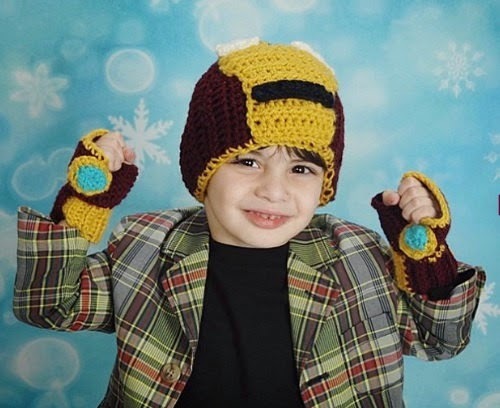 This is actually the very first thing listed on my sons Christmas wish list which I believe says a lot. Everyone wears an adorable lizard face mask that ou can blow into and make the tongue flick about. One player flips over a number card, the other players have to flick over the correct number of insect cards that are set up on the table. The first person who knocks down the most insects the fastest wins! Bam! This game is fantastic for so many reasons. There is no set up- you open up the box and you play. No batteries are required, and the rules are minimal. Making this just a quick fun game that you can play at a drop of a dime! The game comes with 4 lizard masks with washable mouthpieces as well as 10 target cards 10 game cards and game rules! Instant fun at a low price point you cannot lose! 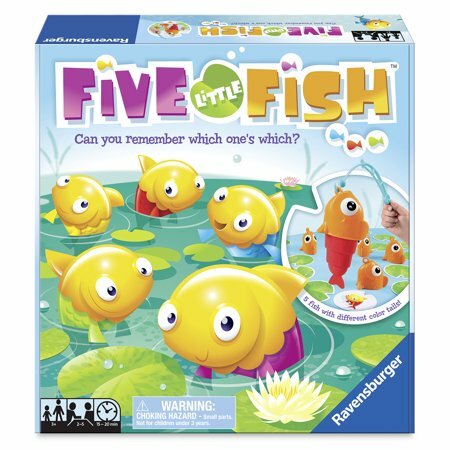 Ravensburger gives us a great new game for the kiddos called Five Little Fish! Giving a new angle to that rotating fishing game we have all grown up loving, you know the one where the fish have magnets in their mouths and you have a dingy rode with a magnet and you try and catch it. I love those things. Anyway Five Little Fish is the same in concept. You pick up a card that reveals what color fish you need to catch. After you choose your card you get your fishing rod in hand and then choose which fish you believe will be the color you are looking for if it is a match then you get to keep your catch if it doesn't you have to wait for another turn to try again with a different color. This game is both interactive and great for motor skills, but also a fun new twist on the memory game as the board moves you will have to keep track on which fish is which! Great game highly recommend it! Watermelon Smash- another great game from YULU and sold exclusivity in target.This game is adorable honestly. A nice twist on the good old water roulette game. 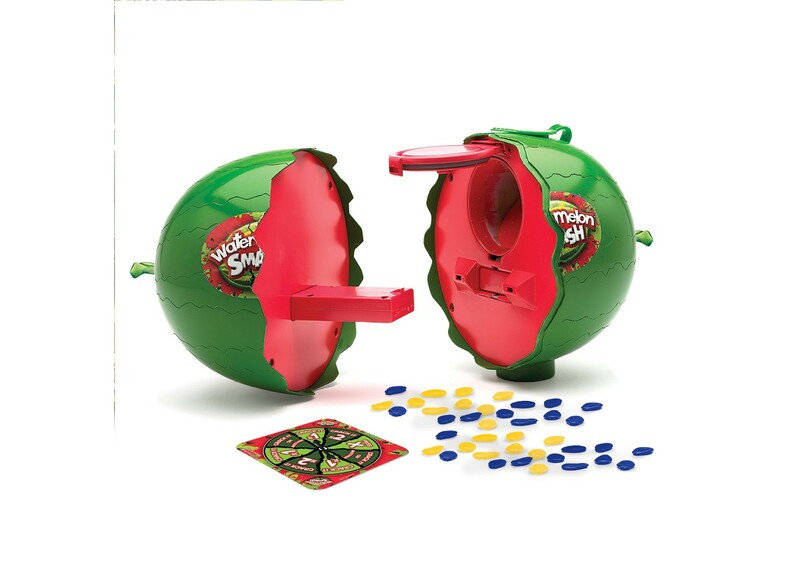 In this fast paced game you spin to see how many times you have to (gently) press the watermelon against your head before you can pass it on to the next player. You will never know when it will crack so you are always in a suspenseful state! Once the watermelon cracks on someone turns they will either be covered with water, or plastic watermelon seeds (included) and then are out of the game! 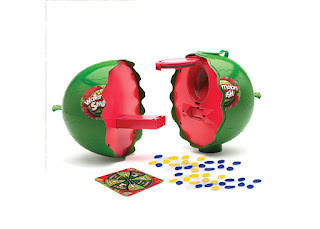 Be the last player left to avoid having the watermelon crack on your turn and you win! The best part about this game- other than the game play itself, is that you can play during all seasons. A fun water game in warm weather, or dry if it is raining or freezing outside! Love it. Available now and surely to win the hearts of everyone that plays!